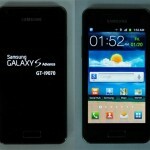 Recently Samsung rolled out the latest OTA update for Galaxy S Advance GT-I9070P users in Singapore. It is the android 4.1.2 DXAME1 and the official firmware is now available for installation via Samsung KIES. Few countries however are still receiving OTAs. If you missed out on the OTA or are in an extreme urgency to update please follow the step-by-step guide below to get the update. 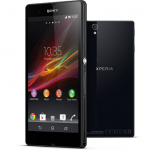 Folks you must be familiar with the waterproof Sony Flagship Xperia Z running Android 4.1.2. You might be pleased to know that a root is available for this cellphone and all you need to do is follow this tutorial to get there successfully. For all you guys who enjoying rooting their devices, we have a good news for you. 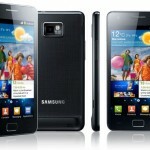 You can now root XXLT5 Android 4.1.2 Jelly Bean right onto your Galaxy Note N7000. This is the official firmware so you don’t need to worry about a thing except for following the guide as it is. You will need to flash a rooting kernel to your phone which will help in rooting. Knowing that you will lose your personal data and settings so you should backup your phone before you continue with the procedure. Rewritetech will not be responsible for any damage to your device. Check the guide after the break.